September 4-6 at Ithaca College: Come join us for Free Events! From Sept. 4 through 6, NEXUS will be kicking off Ithaca College’s school year with a series of exciting events. 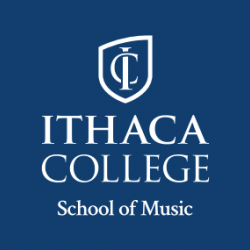 All PRESENTATIONS (INCLUDING THE Sept. 6th CONCERT) ARE FREE and OPEN TO THE PUBLIC as well as to the Ithaca students. We are thrilled that Gordon Stout, (marimbist, composer, and educator – lucky Ithaca College! ), will be joining us. He has been described as “the Rubinstein of all aspects of the marimba”, and his playing has been called “transcendental virtuosity”. And NEXUS was the happy recipient of his “Prelude-Winter Song” commissioned in 2009. Here’s the Ithaca schedule: Remember: FREE and open to ALL! Tuesday Sept 4 at 4 pm, Bill begins his Creative Music Making in Presser Reheasal Hall. Bring your instrument – this is open to instrumentalists/pianists, vocalists. Session 2 of “Creative Music Making” will be on Wednesday morning Sept 5 at 10:00 am in Beeler. Then on Thursday, participants will join NEXUS in that evening’s concert in a freeform improvisation, “Ithaca Fantasy”! Is this cool or what? Also on Tuesday Sept 4 at 7 pm, Bob Becker will present “African Rhythms and Drumming” in Ford Hall. 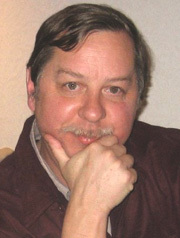 Wednesday Sept 5, at 7 pm, Garry Kvistad will present “Sound Advice”, a workshop on Acoustics, in Ford Hall. Thursday Sept 6 at 10:00 am, in the Nabenhauer Recital Room, Russell Hartenberger presents “The Music of Steve Reich”. San Jacinto College, Pasadena TX – see you soon! PAS Rhythm/Scene covers our busy spring! Spring News Round-Up: recordings, books, seminars, concerts, compositions!